Announcement Hi! 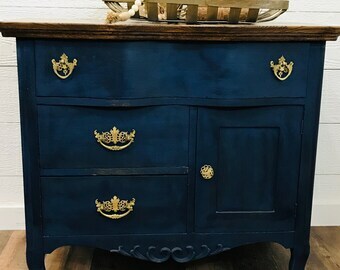 I'm Jen Short and I have a passion for painting vintage and antique furniture. It's quite the obsession! We carefully search for quality solid wood pieces and put our painters touch to them. We live in the heart of the Bluegrass, Versailles, KY. My husband is an amazing woodworker and together we bring these pieces back to life. We have a home based shop but would welcome a visit by appointment. Hi! 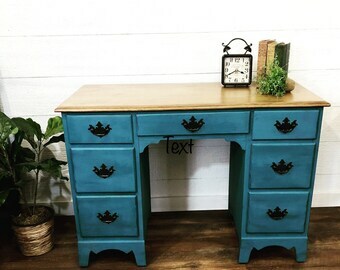 I'm Jen Short and I have a passion for painting vintage and antique furniture. It's quite the obsession! Hi! I'm Jen Short, I am a nurse, furniture painter and vintage and antique furniture enthusiast. JSvintage all began with empty nest syndrome several years back. 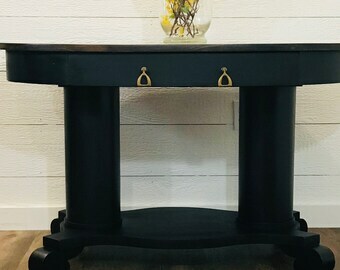 I needed a hobby and thought I would give furniture painting a try. We had renovated our vintage 1965 little red brick ranch and were in need of some furniture on a budget. I saw a picture on Pinterest of a white hutch painted farmhouse style. I searched marketplace and found one identical. She needed some love and some paint. That's when I discovered chalk paint. It's amazing. I was hooked. This allows people to have a quality solid wood beautiful piece of furniture for a fraction of what it would cost to buy or have made. They just don't make them like they used to. This 'hobby' has taken on a life of it's own and now we are making a go of it as a business. We hope you enjoy viewing our pieces and maybe you'll be inspired to purchase one. We sure hope so. Hi! I am Jen Short, owner of JSvintage,LLC. I am an RN, Wife, Mother, Nana. 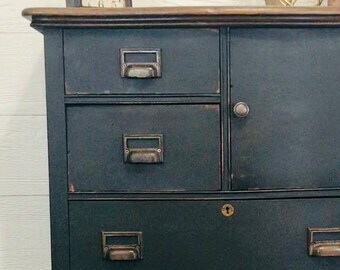 I am also obsessed with painting vintage and antique furniture ! Husband to Jen. Life Long skilled Woodworker, fixer of furniture and overall genuine nice fella. Will we repaint a piece we've already painted? The answer is no. We do not repaint our pieces once painted. We have several companies that have been recommended to us. we will try to get the best option for your piece and best price. Once chalk paint has completely dried and has been sealed with wax you may use a barely damp rag to dust.